A new exhibition in London’s swanky Bond Street shows some of the latest work of photographer-artist Veronica Bailey, whom longtime Eye readers may remember from Sue Steward’s article ‘Torn space’ (Eye no. 59 vol. 15). The show, at the Colnaghi gallery, 15 Old Bond St, London W1, includes two new series: ‘Hours of Devotion’ and ‘Shelf Life’. 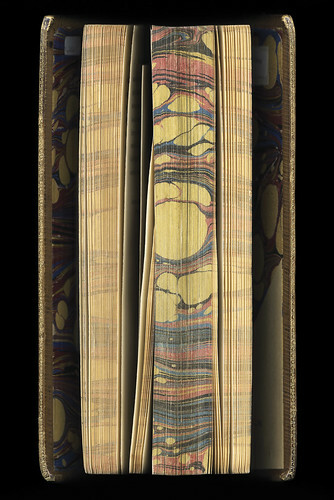 The former is made of digitally printed high-resolution photographs of the marbled or otherwise decorated edges of books in in the Old Staff Library of private bankers Coutts. The latter takes a similiarly obsessive look at the books’ bindings. 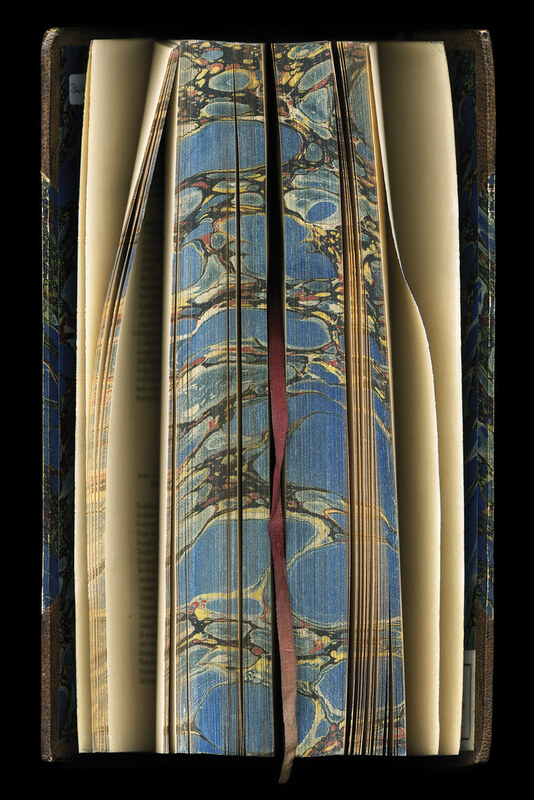 It’s not so much the ‘Form of the book’ as much as ‘the look and feel of old books’ . . . stare at Bailey’s photos for a while and you can almost smell them. Bailey originally trained as a graphic designer, and then worked as an illustrator for a while before completing an MA at Central Saint Martins and developing this very personal approach to photography. Her work now attracts high prices on the art market: a press release helpfully notes that prices range from £950 to £13,500 ‘to suit all collectors.’ The exhibition continues until Saturday 6 June, 2009. You can read the full text of Sue Steward’s piece on the Eye website, but we recommend that you read it in print – Eye 59 still available as a back issue from the Eye shop. The exhibition is a collaboration between Bernheimer Fine Art Photography (for Colnaghi) and GBS Fine Art. Veronica Bailey’s own website is www.veronicabailey.co.uk. 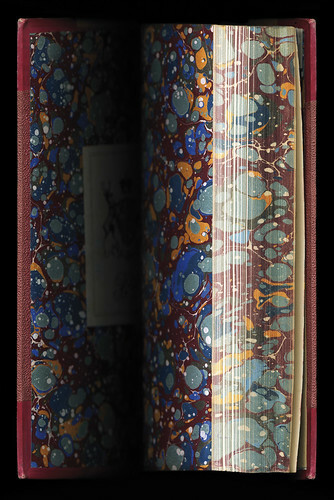 Below: Curiosities of Literature – Disraeli.